I’m excited to announce today that we’ve raised a Series B round of $23M. It was led by Bessemer, investors in iconic tech companies like LinkedIn, Yelp, Skype, Pinterest, Box, Twilio, Shopify, and many more, with participation by our Series A investors The Social+Capital Partnership. Ethan Kurzweil has joined the board alongside Mamoon, Des, and myself. We founded Intercom 30 months ago. Before then, I was living in Ireland and knew very little about raising venture capital. We’ve now raised a total of $30M over three rounds. These are the lessons I’ve learned. One man’s Facebook is another man’s “online directory for colleges”—which is how Zuckerberg described his new service initially. In the defining days of any new category, there are dozens of people who happen upon the same fundamental idea. But very few have the capacity to see the true potential for it beyond the obvious. Your vision is the ceiling for your company’s potential. You’ll never be a billion dollar business if you’re not deliberately working to get there. And in venture capital, it doesn’t make sense to invest in anyone who isn’t at least trying to build a business that size. Intercom is our contribution to Internet innovation. Internet technologies are still catching up with how humans interact offline. The majority of progress in this space is on the consumer side—Facebook, WhatsApp, Snapchat, et al. Intercom is bringing this to business. It’s a seamless, lightweight way for the whole company to connect personally with their customers. The incumbents haven’t innovated in over a decade. In fact, the separate helpdesks, email marketing tools, feedback products, and CRMs have only become more complex. These disconnected services cannot provide a holistic view of the customer. And as a result, the customer’s experience is very disjointed. Our vision is to be at the center of all customer communication for all kinds of Internet business, which increasingly every business is becoming. We’re dedicated to going all the way with this. Startups talk a lot about traction as a measure of their potential. When they do, they roll out the biggest number they have—like the number of people who’ve blinked at their sign-up form. “Meaningful traction” might be something stronger—like an actual sign up. Yet that’s still missing the point. A better measure is engagement. How intensely are individuals or companies using your product? Venture investors assess deals on the presumption that the vast majority of the market for the product is untapped, and that it’s extremely large. Otherwise it’s not a venture-stage opportunity with high growth potential. And so the number of customers or users you have will always be expected to be small in the grand scheme of things. However, you’ll need to show that those customers are highly engaged. That they’re extracting a lot of value. A small number of such data points—which for some companies could be as low as 10 customers—will help you demonstrate the potential that your product could have in the broader market. We now have just under 2,000 paying companies—small teams like Circle and Visual.ly, and larger companies like Heroku and HootSuite—and annual revenue in the millions. But more importantly, 65% of our monthly active users log in to Intercom every week, and 35% of our weekly active users log in 5 days per week. And while we’ve a lot to improve, customer satisfaction is off the charts. I’ve heard the idea many times that goes something like: “angel investors bet on people, seed investors bet on product, Series A investors bet on a business…” It’s true that at a higher valuation and raise amount, and with more time spent on the business, there will be increased expectation of progress. But what shouldn’t be drawn from this is any idea that team becomes less important, at any stage. Even public companies’ stock price is affected by investor confidence in the management—study the rise and fall in the price of Yahoo! and Apple since their changes in leadership, respectively. Mamoon once said to me: “My hiring philosophy is aim high. Get people you think you can’t get. Shock people that you were able to get a certain person.” This is the only approach that results in a step-change in average talent amongst a team. The opposite is a plateau in team quality—getting bigger, but not better. Great people attract great people and companies who adopt a culture of always stretching to get the very best have been shown time and time again to be the most successful. Furthermore, experienced leaders build significantly bigger businesses—“the typical successful founder [has] at least 6-10 years of industry experience”. We started 2013 with 13 people and finished with 47—all uniquely amazing in ways I’m surprised by daily. In May we announced we had hired ex Google and Facebook manager, Paul Adams, now our VP of Product. And I’m delighted to announce today that we’ve hired ex PayPal and Yammer exec, Mark Woolway, as COO. Mark now runs finance, operations, legal, HR, recruiting, and administration, and has had a tremendous impact in only one month. He’s certainly out of my league—he’s worked for three CEOs in his career: Peter Thiel, Elon Musk, and David Sacks. For PayPal he helped raise over $200M in venture capital, led their IPO, and eventual acquisition by eBay for $1.6B. He was Managing Director for Thiel’s hedge fund, Clarium Capital, at its peak worth $8B. And as Executive Vice President at Yammer, he raised $127M and led the deal in which Microsoft acquired the company for $1.2B. People like Mark make everyone up their game, and raise the bar for what success looks like. I’m thrilled to call him a colleague. And by the way, we’re looking for a whole lot more. There are many things we call “technology companies” whose unique value is not in fact defined by technology. This does not take from their achievement or worth to the world, but it can be useful to think about in terms of your own business strategy. Groupon, for example, is a very valuable company, yet its innovation is in its business model. It’s a promotions company with a web site—nobody uses Groupon for their amazing tech. The same can be said for many businesses with incredible sales or marketing. 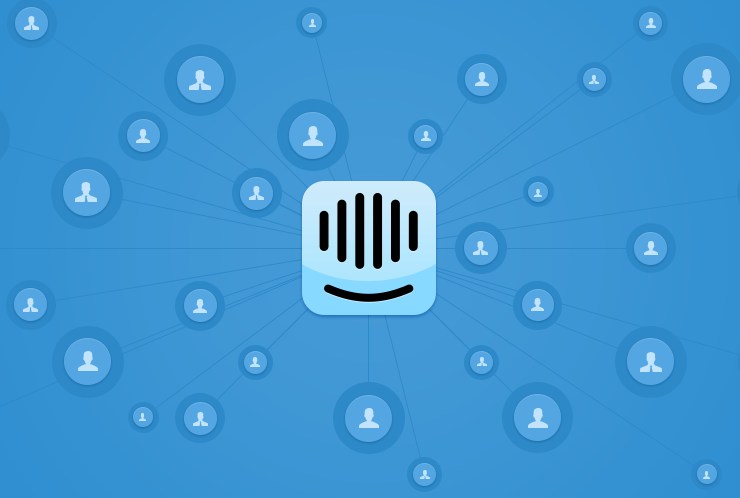 Intercom does not have an interesting business model. We charge money for people to use our product. And we do not have incredible sales or marketing. We have no salespeople and made our first marketing hire one month ago. What we do have is an innovative product. Something that people can’t get elsewhere which does unique things for them. All of our value is in this technology. And our double-digit monthly growth comes from people liking it and sharing it with their friends. Our company will become more valuable mostly by investing in product. Making it better for those who use it today, and allowing it to be used on more platforms, in more markets. When you can articulate your general business strategy, it’s far easier to know which investors will be most excited by your deal, and to make your partnership with them a long-term success. Mamoon agreed from the start that the bulk of our capital should be spent on product. On a Sunday in late December, the day before I pitched the Bessemer partnership, I met Ethan for a coffee. I suspected since my first interaction with him that we were on the same page, but I really wanted to hear him say it… I asked: “So if we do this deal, what are the kinds of things you think we should spend the money on?” He said quickly: “Product! I don’t think for the next five years you’d want to stop investing aggressively in product.” The right investor won’t ever want you to be something you’re not, because they’re investing in you for who you are and what you believe in. That’s your strategy. It defines the opportunity and makes you far easier to bet on. I feel so fortunate to have investors who support our passion for simply making an amazing product. It’s fair to say that fundraising is a pseudo-achievement. It doesn’t in itself create value. That comes from what you spend the money on. Yet it’s worth celebrating because of what you really have achieved to be able to convince smart people to back you. Today I’m celebrating the hard work of my incredible co-founders and teammates, and the courage of our early seed and Series A investors. But most importantly I’m celebrating our customers who’ve supported us and paid for our product in its infantile state. Thank you, thank you, thank you. We do this for you.